A toilet flush system can be a complicated mechanism that operate outside the perception of our everyday life. It enables us to flush down the wastes so that we do not have to manually clear it. Even with manual flushing, the toilet might still choke. Ever wondered something as fascinating as the flush usually works? 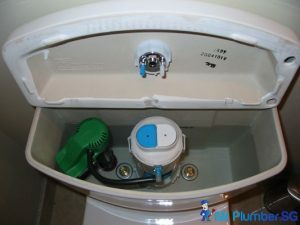 Different toilet bowls have different type of flushing system, and in this segment, we will let you know more about the toilet flush system, the replacement of a toilet flush system process, repair and other services we offer, as well as other nifty tips that may come in handy for you. 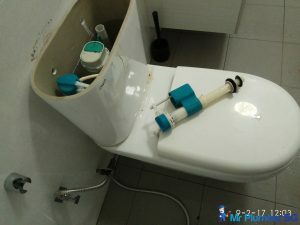 Toilet bowl in Singapore generally have a great flush system, and a good system can prevent problems such as a clogged toilet. The toilet cistern is the part that holds water at the back of the toilets. The toilet flush button releases the water through the toilet flush system to wash the content of the toilet bowl into the septic tank. Problems with your toilet flush system could prevent your toilet from flushing properly. This can be a tricky situation especially if you only have one toilet in your home or apartment. 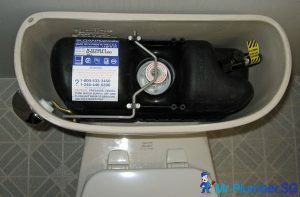 There are many issues that can occur with a toilet cistern or the toilet flush system. While most times, you may be able to do it yourself, we recommend that you should call a professional plumber to help you with your toilet flush repair. 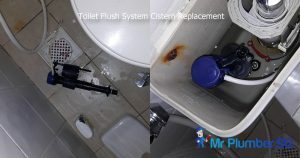 If your toilet is not flushing properly, Mr. Plumber has a team of experienced plumbers that can carry out toilet flush repair services at your home on short notice. Just call us at +65 6653 6258 with details of your toilet problems and a technician will be deployed to your home for an on-site assessment. In the Singapore market, there are many types of toilet bowls. And each toilet bowl flush system is different from the other types of flush system. Here are some of the flush system that are available on the market. 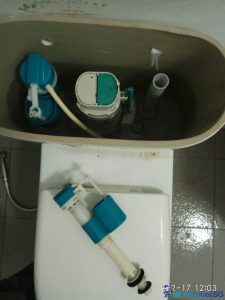 Basic Flush Tank; this is one of the most common types of toilet flush systems in Singapore. 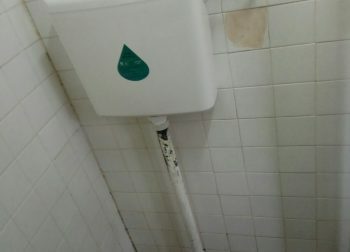 It comprises a flapper valve that is activated once the toilet flush button is depressed to drain water into the toilet. This then allows water to enter the tank which raises a floating ball that shuts off the water supply at a level. 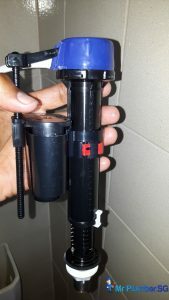 Pressure Assisted Toilet Flush System; This type of toilet bowl uses a high-pressure system that allows the toilet to use low flush volumes of water compared to other toilet flush systems. This system is noisier than compared to the other systems. Elevated flush tank; This is one of the older flush system that has since been replaced from most HDB flats. Although you can still see them in squat toilets. This flush system makes use of a floating ball valve to enable the flushing to happen when the chain is pull on. Double cyclone flush system; This is one of the latest flush system whereby it uses two nozzles instead of rim holes. Assisted with a propulsion system, more water is directed to the cistern generating a more efficient flush than the rest of the systems. When it comes toilet flush systems, it is by no means without its own complications. 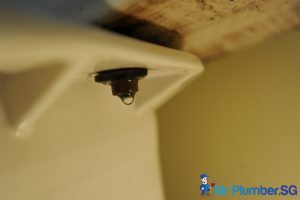 We have collated some of the common problems that are associated with the flush systems. Toilets sometimes have a “weak” or “lazy” flush after several years of use. 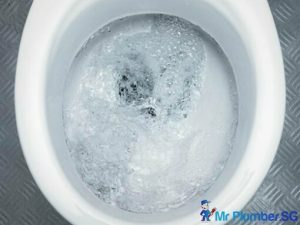 If your toilet won’t flush after you pushed the toilet flush button, then you need to check out a few things to find out why. Sometimes, there may not be water in the toilet cistern. This could be as a result of water being turned off or low water pressure. If the toilet flush valve is also leaking, this could prevent adequate water from staying in the toilet cistern. Once the flush valve and gaskets lose their water seal qualities, water would keep draining from the toilet bowl. If your toilet flush system is of the first generation made during 1994 to 1997, you will highly likely have a weak flush experience. You may check inside the flush type to look for the manufacturing date stamped into the clay. These toilets often time will have sediments deposited in the siphon jet hole which will cause the flush to be weak. 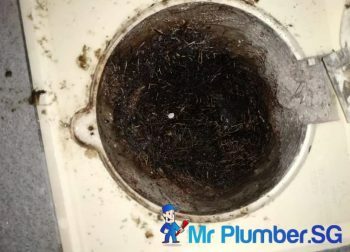 If the flush becomes weak, and the waste accumulate and hardens, this will result in the toilet bowl choke, which will likely become more complicated, and in such a case, it will be advisable to look for a plumber to solve this issue. 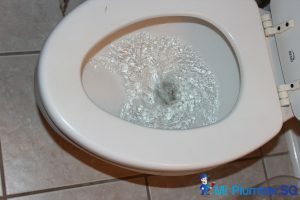 Partial flushes can be quite strong, but it is still an incomplete flush, which will be an issue to home owners. 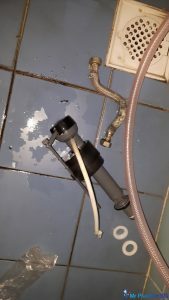 The possible reason for this could be due to the fact that the flapper valve may be waterlogged (full of water) or being diminished too quickly. During a flush, the flapper valve should stay up until about 80% and above of the water has been drained off. If the flapper does not stay up until then, it is likely that your flapper is the main cause of the partial flush. Phantom flushing is a phenomenon that occurs when the toilet flushes by itself without any human interaction. 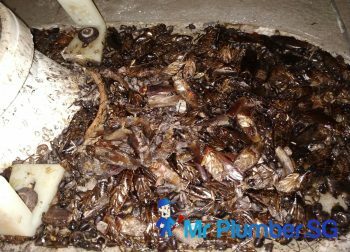 This is commonly caused by water slowly leaking out of the cistern and into the toilet bowl due to a worn-out flapper valve. 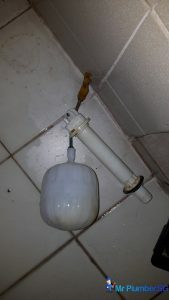 When the flapper become a burden to the toilet system, it will enable water to keep draining, forcing the tank to constantly refill and drained, and the process repeats itself, causing a massive wastage of water. A double flush occurs when there is too much water leaking from the toilet tank and into the toilet bowl. As you know from above, worn out flappers can be the cause, but a lightweight flapper causes the double flush. The flapper acts as a doorway to allow stored water from the tank to flow through. If the flapper is a lightweight, or if it is fitted wrongly, it will not be able to close swift enough to prevent more water from flowing through, causing a second flush to happen. Another cause can be due to having too much water in the tank. The extra water will flow out when you press the button for the tank to flush, refilling the tank quickly causing the toilet to flush twice. As to why there may be too much water in the tank, this is likely due to the toilet fill valve being set poorly. Having a whistling tank may not seem like it could be a problem, but a whistling tank is actually a sign of a problem that is to come. The whistling is usually associated with a faulty fill valve. As time goes by, the fill valve will experience wear and tear and its internal components will deteriorate resulting in the whistling sound. The faulty valve can also cause the entire toilet bowl to vibrate, leading to weird noises from the toilet bowl. A faulty fill valve will cause a leakage into the toilet bowl, increasing the water usage, thereby increasing your utility bill and cause the imminent problem that is to come. 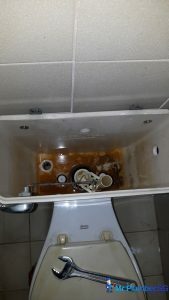 When the toilet bowl tank has a slow tank fill, there are a few reasons as to why this happens. 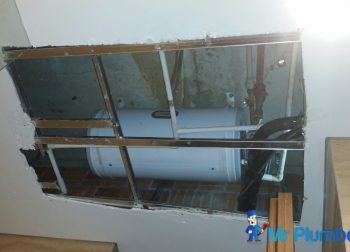 It may be a case of a semi-open valve from the water supply line causing the water to slowly fill the water tank. Another possibility would be due to a clog in the supply line. This happens when a foreign object enters the stream. Low water pressure can also cause the tank to have a slow fill. In this case, the pressure pump will likely be the main culprit as it may be faulty. A toilet flush system tank may leak due to a faulty supply line, a crack in the porcelain or even a faulty part within the flush system. 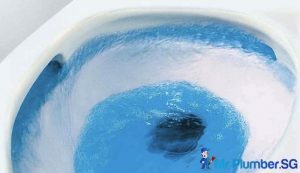 The leakage can leak into the toilet bowl or even the external area around the toilet bowl. When you try to flush the toilet, and pressing the button does not activate the flush, it is most likely that the toilet cistern is faulty. A toilet flush cistern (also known as toilet flush valve) is part of the main body that holds the water back. When the button is pushed, the hold is released resulting in a toilet flush. Therefore, when the button mechanism is spoil, it may be due to faulty part of the cistern. Begin by turning the water supply off. Place a container below the water line to catch any rogue water. Remove the water line from the toilet. Remove the nuts that holds the tank onto the toilet bowl and carefully remove the tank off, and set it in a safe position to work on it. 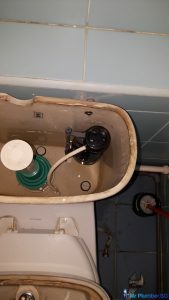 The mountings bolts that supports the structure of the toilet bowl may have another set of nuts holding onto the toilet tank. Remove the nuts first. If the toilet bowl is old, the bolts will likely to be rusty. So, it would be good to cut them off with a mini hacksaw. Remove the flush system nut by using a large pair of pliers. Once the nut is loose, put the flush siphon out from the top of the tank. Clean up any residual stains before installing the new toilet flush siphon. Having an adjustable flush siphon would be ideal so that it can adjust to any height needed, although most siphon are also universal, so it may no be necessary. Ensure that the flush siphon gasket goes into the tank, and the nut & washer on the outside of the tank by following the appropriate angle before tightening the nut. Fit the tank to the bowl gasket over the flush siphon on the bottom of them tank. Make use of tank-to-bowl bolts that contains a washer inside the tank and another on the bottom of the tank for each of the bolts. Then tighten the nuts onto the bolts. Ensure that the toilet bowl is aligned between the holes in the toilet bowl. Following that, set the tank onto the toilet bowl and install the washer and wing nuts. Tighten the nuts by hand and fill the tank with water, allowing the weight to push down onto the toilet bowl before tightening further. 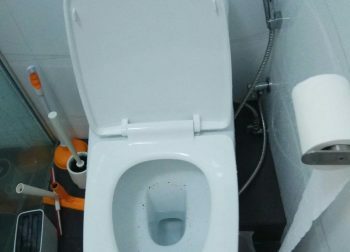 Attach the flex line onto the toilet tank and turn on the water. Adjust the flapper chain onto the toilet handle. Adjust the height of the flush siphon if needed so that the water level remains at the recommended line and the overflow is just about 2.5cm above it. Do remember to check for leaks by flushing the toilet multiple times. If the steps for the flush system replacement seems daunting to you. You may want to engage a reliable and professional plumber that can help you with all your plumbing needs. 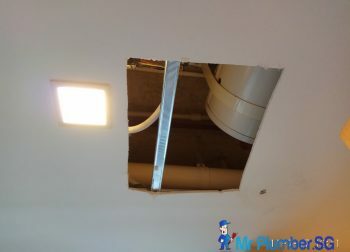 Here at Mr Plumber is the top-rated plumber in Singapore for a reason. 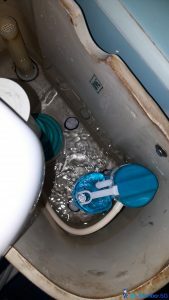 We specialize in repair services for toilet bowl flush of all types and will recommend a replacement that will match the existing specifications of your toilet. 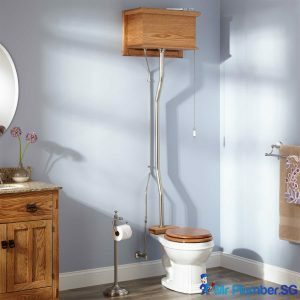 With more than 10 years’ experience in serving Singapore, we also provide you with a Service Warranty that ensures that we will be there for you in the unlikely chance that another issue develops with the repaired or replaced toilet bowl. 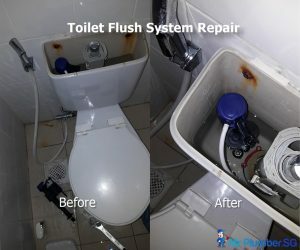 For honest and transparent plumbing service that is covered by our Service Warranty, call us today at +65 6653 6258 for your toilet bowl flush system repair and replacement.